Takes place during warm weather months, depending on the water temperature. Meets Monday through Friday from 9 am - 10 am at the Ash Pool. Contact Dottie Redding or Marcia Kane. If you are caring for a family member, spouse or friend, whether directly or long-distance, you can benefit from participating with other caregivers in supporting each other with shared stories, tips, resources and more. Come hear from other caregivers and receive valuable resources from the Alzheimer’s Association Waco Regional Office at our meetings. Meets first Thursday of each month at 2:00 pm at White Bluff Chapel. Email Tricia Shelton or call her at 325-658-1343. It's easy to find riding partners with this group of 30+ riders, whether you are headed to Waco for an oil change or want to do a 200 mile breakfast run on a Saturday. Several times a year longer rides up to 10 days are planned. Weekend rides are usually organized and announced by e-mail a day or two prior. Standard group safe riding practices are followed. Open to anyone who wants to learn to do wood carving, or to improve their skills. Meets 1st Monday and 3rd Thursday, from September through April, at 6:30 pm at the White Bluff Chapel. On the third Friday of most months, a group of White Bluff residents try to get together to go out to dinner and then on to a true country / western band dance. This is usually the "West Over 40 Dance" in Tours, TX. Contact Carolyn or Ron Williams at 694-9680. Group of volunteers who make stuffed animals, blankets, and more to be distributed to Hill County hospitals, nursing homes, and other facilities. Even if you don't sew, you can help with stuffing the animals and other activities. Group of WB friends and family who enjoy cruise vacations together. Email Betty Moodt or call her at 254-681-2166. For Women of a Certain Age who want to Love, Laugh, & Live Longer. Meets the 3rd Tuesday of the month at 2 pm in members' homes to enjoy tea and friendship. Group of quilters and wanna-be quilters. Meets the 2nd Friday of each month, from 10 am until around 1 pm, at members' homes. Go to the Golf page of this website for information on organized golf groups for men, women, and couples. 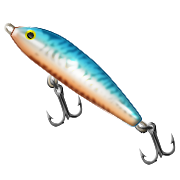 The fishing group is interested in fishing together as a group or subset of the group. There are no specific fishing dates and times pre-determined, but rather members get together when they feel like it. They have discussed fishing on Lake Whitney, Lake Aquilla, and perhaps Lake Waco. Email Gary Jeter or call him at 694-8353. This is a fun way to get some exercise with friends. Meets Thursdays at 3:00 at the White Bluff Chapel. 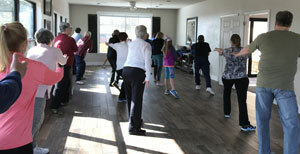 The morning indoor exercise group meets each Monday, Tuesday, Thursday and Friday at 9:00 a.m. at White Bluff Chapel. All residents of White Bluff are welcome to attend. Meets the third Wednesday of most months at 1 p.m. in the Children's Room at White Bluff Chapel. It is all ladies at this point, but open to anyone who wants to come. Contact Sandy Moore at slmoore46@yahoo.com for more information. Meets at the Range Courts on Trailwood Drive. Loaner equipment available at the Security Office at the front gate. 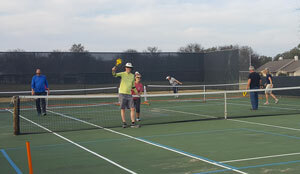 There is no regular winter schedule, but contact Jody if you want to be included on the pickle ball email list. He sends out an email to play when good weather permits. For more information, email Melissa Hayes or Jody Yarbro or call Jody at 254-717-1557. Bring a dish and meet your neighbors at this informal gathering. Meets 2nd Tuesday of each month at 7pm at the White Bluff Chapel. Groups of RV'ers who travel together about twice a year. Trips are typically about 5 days long, and destinations are within a 4 hour drive. Join the group and share your enjoyment for all types of stitching. Meets 1st & 3rd Tuesdays of each month from 10 am - noon. Meets every Sunday at 1 pm in the Lone Star Room. Group of property owners who provide fire fighting and first response medical services, along with support personnel. Fire fighters and medical responders receive on-going training. Business meeting the second Monday of each month at 7 pm at the Fire Department building. Copyright © White Bluff Now! All rights reserved.